The Sapporo TV Tower is a popular tourist destination in Sapporo, providing beautiful views of the city’s skyline. It has a total height of 147m tall, with an observation deck height slightly over 90m high. The TV tower was first opened late August of 1957, and has since then remained the heart of the city.The Tower serves as a TV broadcasting tower, in addition to a tourist destination. If you are wondering why it looks almost identical to the Tokyo Tower, that’s because it was designed by the same architect, Tachu Naito. Originally, the tower didn’t have the LED Clock, as seen in the above image. Instead, it was just the TV tower and observation deck, unitl the clock was donated in 1961, where it was promptly installed. Currently, there is talk of creating a new tower in Sapporo that would exceed 650m in height, making it the largest building or structure in Japan. These however are just no more than plans. The Sapporo TV Tower is popular both during the day and night, with the night view being named one of the best night viewing areas in Japan, seeing as Odori Park. 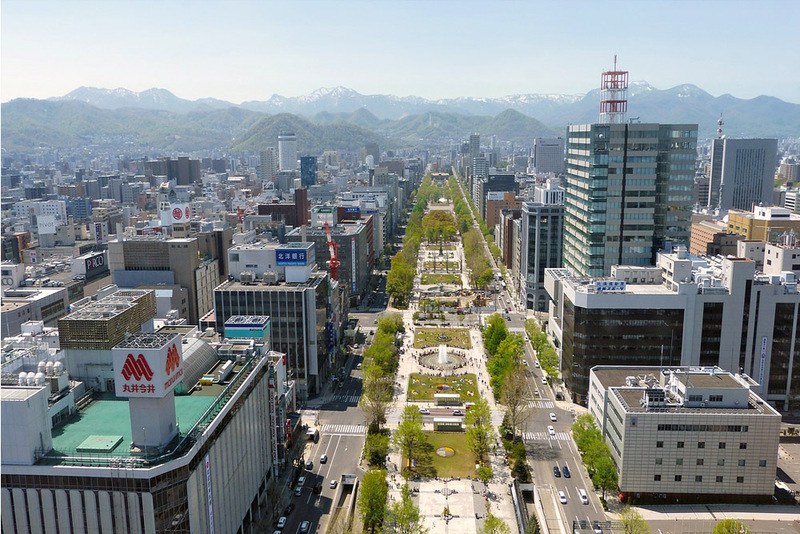 Odori Park is a popular park located in the center of the city of Sapporo, and stretched about 1.5 kilometers in length. 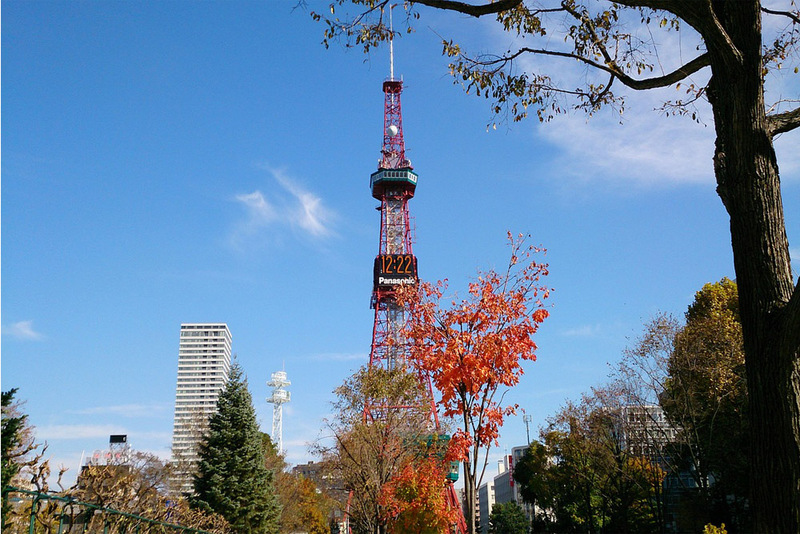 The Sapporo TV Tower can be found at the east end of the park. Odori park is famous for the annual Sapporo Snow Festival, which is held during the first couple weeks of February, drawing in close to a million tourists from all over the world and Japan. Additionally, the park hosts a Lilac Festival for around 10 days when the nearly 400 Lilac trees bloom in May. The Odori Park is one of the oldest parks in Japan, with it first being opened in 1869. There are countless train and streetcar stations all around the Odori Park and Sapporo TV Tower, meaning that it can easily be accessed from all over the city. The JR Line is only about 15 minutes walk from the Sapporo TV Tower, so if you are in Sapporo and are using a JR Rail pass, you will need to use this station, as there aren’t JR lines, and instead most of the streetcar lines are operated by the city of Sapporo. 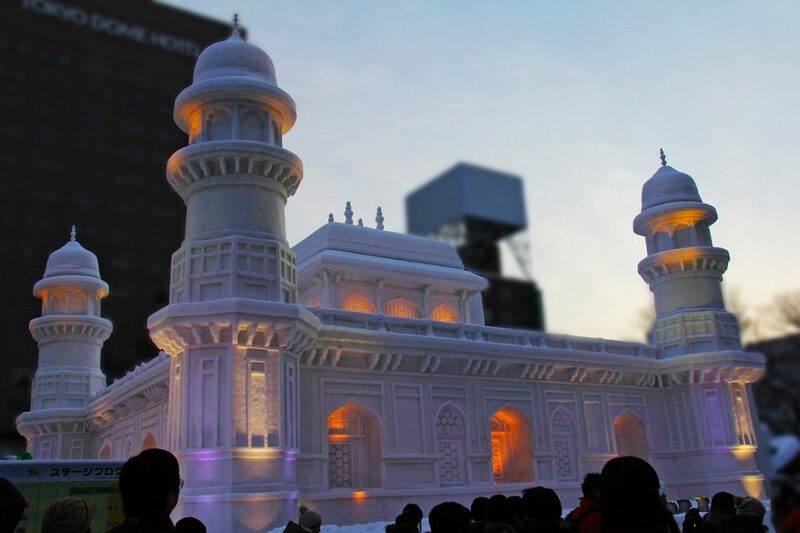 The Sapporo Snow Festival is a popular festival held in the city of Sapporo during the winter, featuring stunning snow and Ice creations. 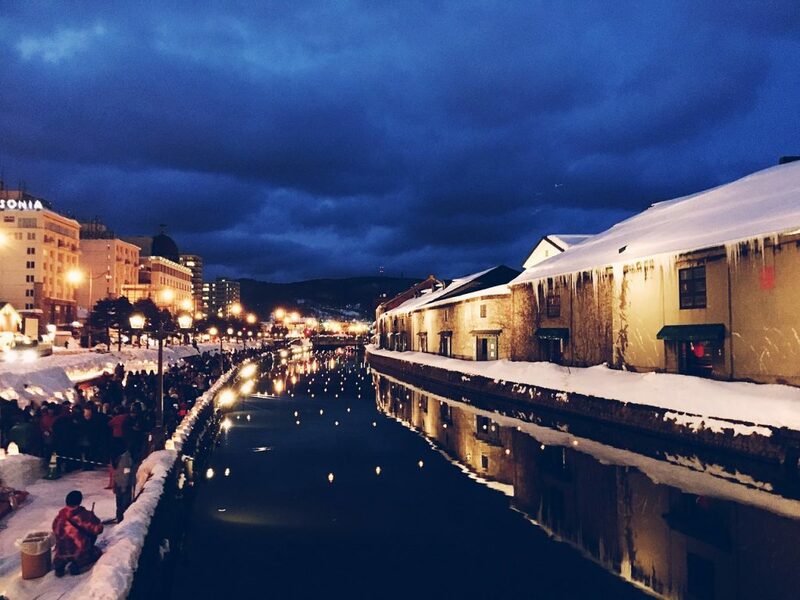 Otaru is a city not far away from Sapporo, and is another popular winter destination, particularly during the winter Illumination festival, where the historic canal is illuminated in bright colours.